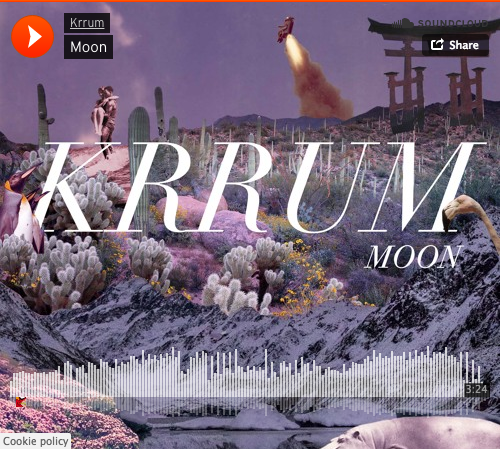 "Moon" might be Krrum's best work yet." Krrum have just released new single 'Moon', released today via 37 Adventures / +1 Records. Following the success of previous single, "Evil Twin," which reached number 1 on Spotify's Viral Chart, Hype Machine, Shazam and picked up support across Radio 1 and Beats 1- 'Moon' is the next chapter in the evolving - but ever-colorful - world of Krrum. Equal parts ethereal and infectious, 'Moon' is a smoothly assured return from Krrum, with its early-Metronomy or Hot-Chip-inspired electronics enveloping a song which fundamentally deals, they say, "with the ritual of wanting to pursue a relationship with someone, but not wanting to jump the gun and ruin it. It's an uncomfortable place to be because you have no control and you’re probably gonna mess it all up, like you always do." 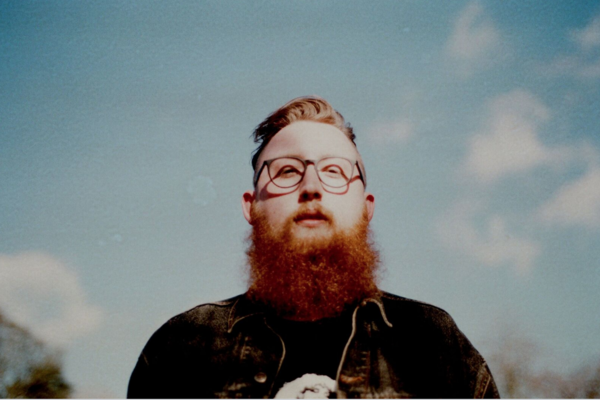 Spectacularly-bearded lead producer and songwriter Alex Carrie hails from the wilderness of Derbyshire, where the buses stop at 5pm and the nearest nightclub is a £50 cab away. His first port of call proved to be punk, before he started playing trumpet in ska bands, though it was his strange tenure working in a historical cave and then in a butchery that laid the foundations of an alternate reality, in which he might make music for living. Everything then came into focus at Leeds College of Music, where Alex subsequently moved to study production. Here, he met lead vocalist and songwriter for Krrum, Harrison. And for a band which seems to thrive on boom, bounce and - frequently - Alex's history with brass, 'Moon' further refines this underlying passion for traditional songwriting; on one hand, confessional artists like Justin Vernon and Thom Yorke (and on the other, the beats of Kanye or the grooves of Justice). Krrum's first UK shows have also been confirmed today: following the live debut at 2016's Pitchfork Paris, they will play Leeds' Headrow House on March 28th (as part of Krrum’s Moon Club Residency) before a set at London's Scotch of St. James on April 13th, and their first headlining show at Pickle Factory on June 1st.